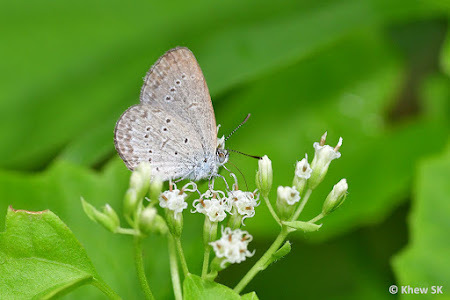 In this 10th instalment of Butterflies' Nectaring Plants series, we feature a rather invasive 'weed', the Mile-A-Minute Weed (Mikania micrantha). This plant is a native to Central and South America, and is a fast-growing vine that was intentionally introduced to a number of countries. In recent years, it has become an unwanted invasive plant that has been a target of biological control in some countries. 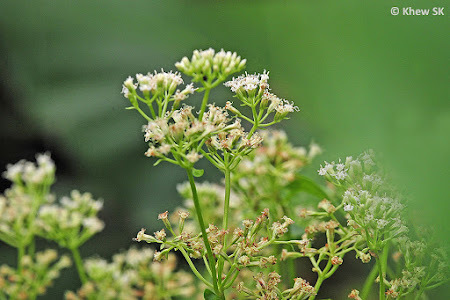 The Mile-A-Minute Weed is a member of the Asteraceae (Compositae) family that is native to tropical Central and South America with a climate and humidity that is similar to Singapore and Southeast Asia. It is able to grow vigourously via its climbing vines and can spread rapidly, if unchecked, often smothering other plants in its way. 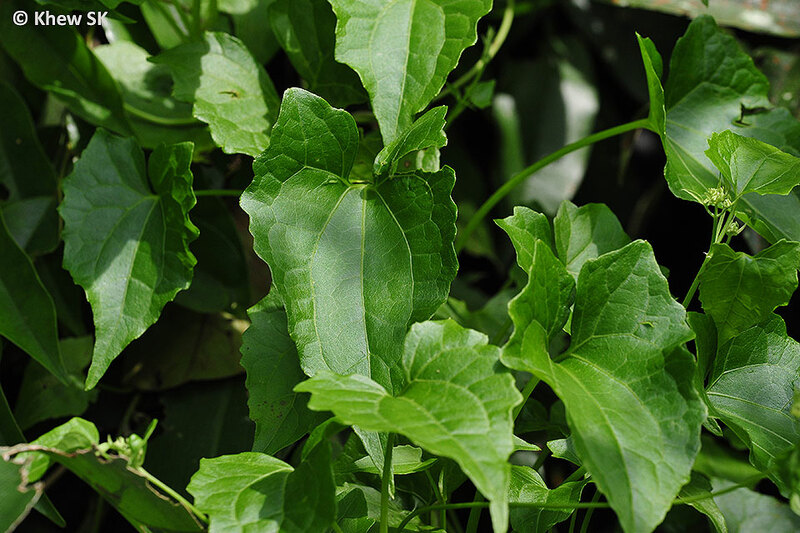 Young shoots of this plant have been reported to grow at an average of 25mm to 80mm per day! The Mile-A-Minute Weed climbs on other plants and often smothers them completely! 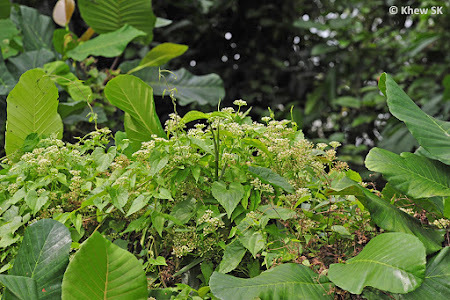 If supported, the plant can climb up trees to as high as 25m, completely covering the supporting plant and eventually depriving the host of sunlight and nutrients, and even eventually killing it. 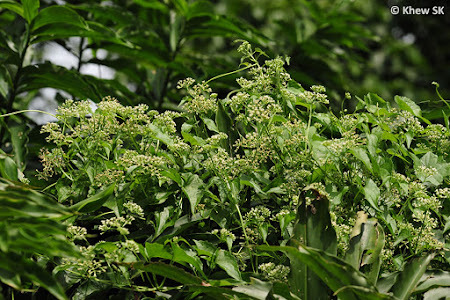 The plant can grow in a variety of habitats but usually prefers damp, lowland clearings or open areas, where there is adequate temperate, light and rainfall. It also grows along streams and roadsides, along edges of forests and forest plantations, along fence-lines, in pastures and wastelands and on and among trees and shrubs. 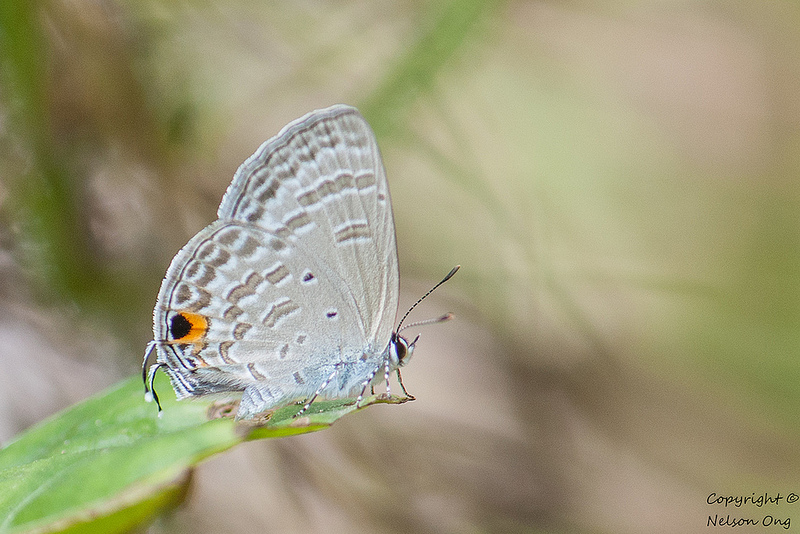 It may be common in areas affected by slash and burn agriculture. In Singapore, it can be found in open wastelands, recently-cleared sites, coastal reclaimed sand-filled sites and even at the fringes of our nature reserves. Aesthetically, the Mile-A-Minute is not a particularly pretty plant and is not usually used intentionally as part of any landscaping designers' palette of plants. 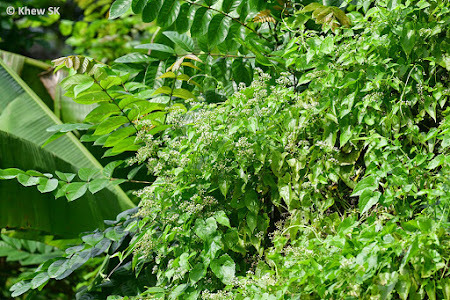 However, some landscape contractors are experimenting with this plant as part of their vertical greenery walls, exploiting the Mile-A-Minute's propensity for climbing large distances vertically. 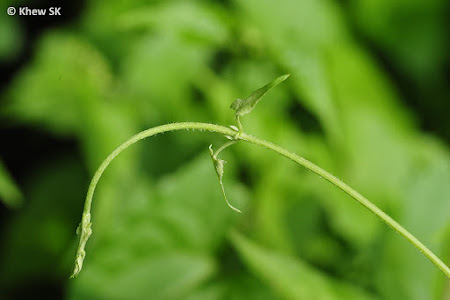 The slender stem of the Mile-A-Minute Weed bears opposite leaves at about 5-20cm intervals. The dark green leaves are ovate with a cordate base. 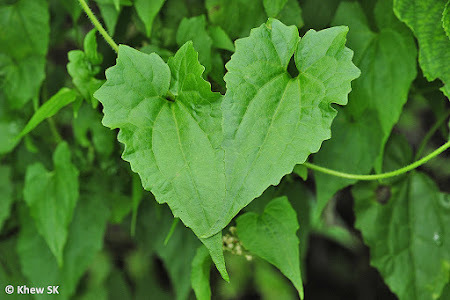 The leaves have pointed tips and a heart-shaped base, and generally triangular in shape. The foliar margins are curvy, undulate and irregular. 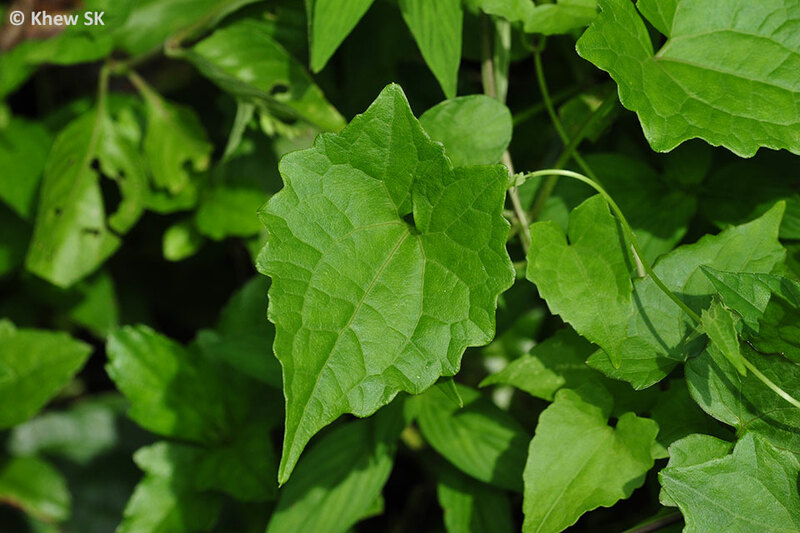 Mature leaves are thicker than the younger leaves and smooth to the touch. The foliar venation is net/pinnate. 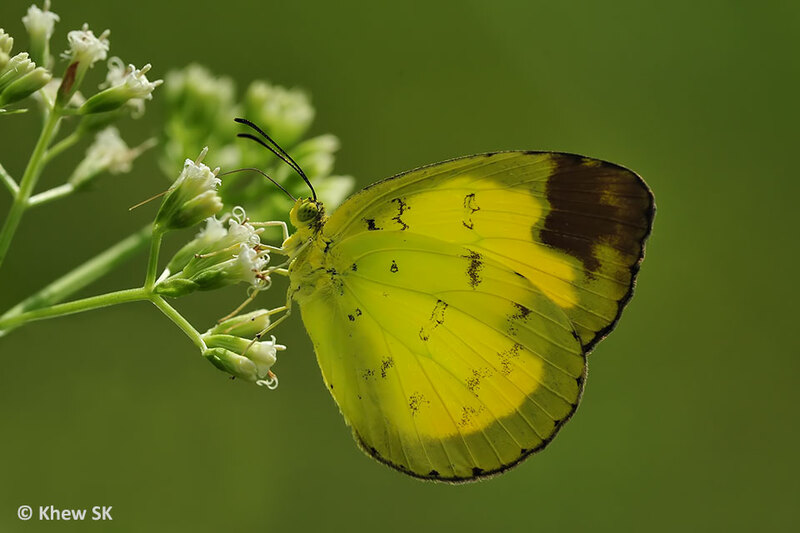 Flowers are in compact heads of 4-6 mm long, small and white to greenish and usually hanging on much branched inflorescence. Fruits are 2 mm long achenes, black with a head of white pappus hairs 2-3 mm long. 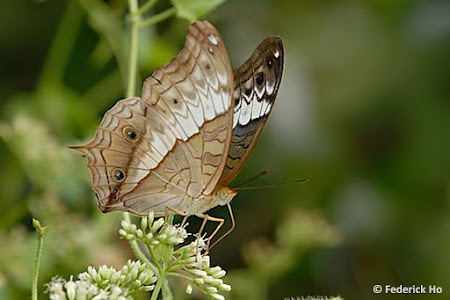 The featherlike seeds are dispersed by wind. A single stalk can produce between 20 and 40 thousand seeds a season. 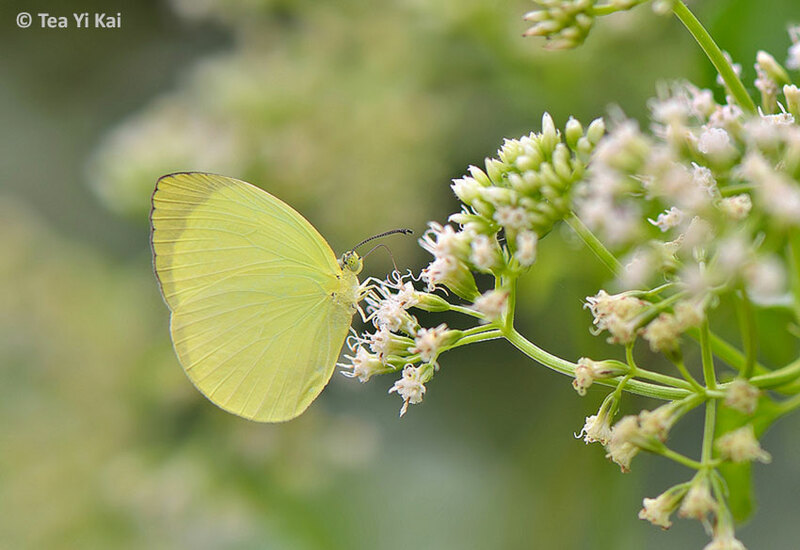 The small white flowers of the Mile-A-Minute Weed are attractive to butterflies. It is interesting to see that small and large butterflies feeding on the flowers. Although we can only speculate at this point in time, that the quantity of nectar is sufficient to satiate the appetites of both the large and small butterflies alike. 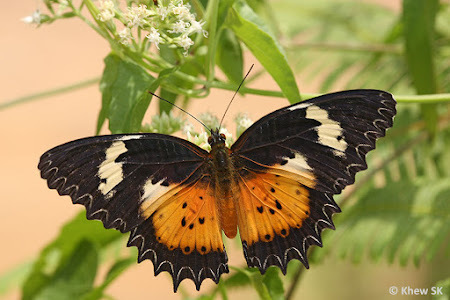 Although I have not come across any photos of the Papilionidae feeding on the flowers of this plant, I have observed a Common Mormon fluttering around the flowers before. 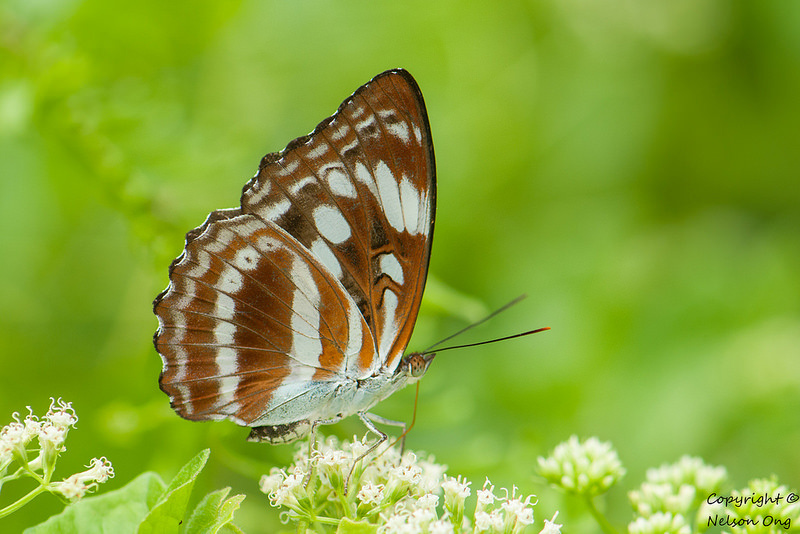 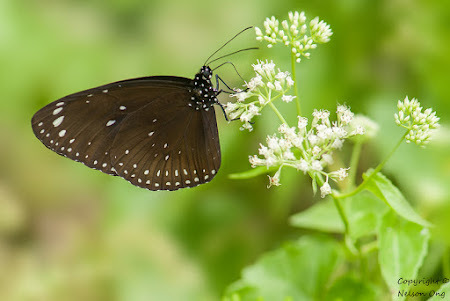 The larger Danainae - the Crows of the genus Euploea in particular, have been seen to feed on the flowers of the Mile-A-Minute Weed. Amongst the other Nymphalidae, the larger species like the Cruiser, Malay Lacewing, Autumn Leaf, Great Eggfly, Tawny Coster and various Sergeants (Athyma spp) have been observed feeding on the flowers of this plant - usually within the forested areas of our nature reserves, where the plant can be found climbing on other plants. The Pieridae, in particular the Grass Yellows of the genus Eurema and even the Tree Yellow have been seen on the flowers of the Mile-A-Minute Weed. 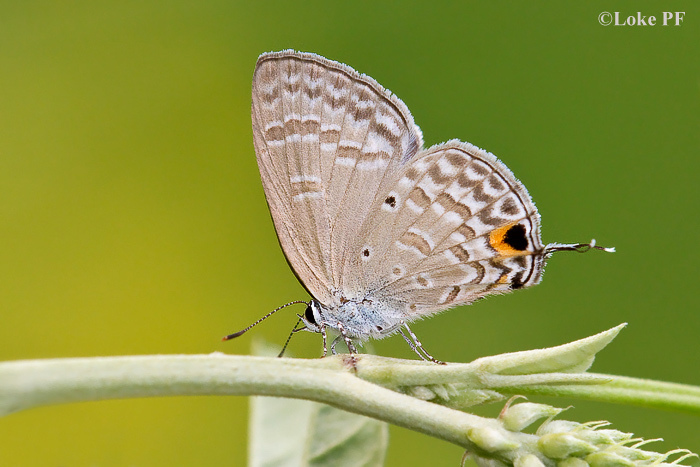 It is highly likely that other species of the Pieridae will also take to the flowers of this plant. 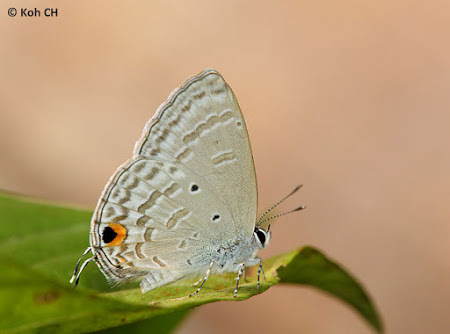 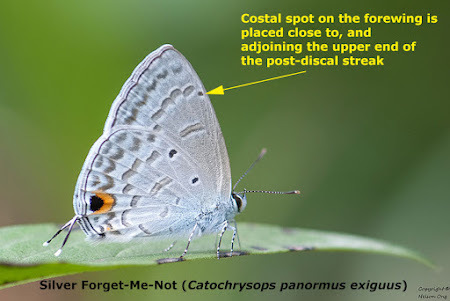 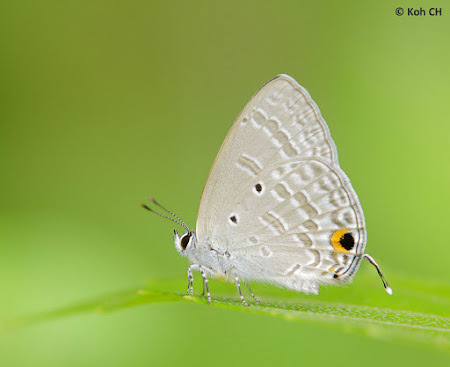 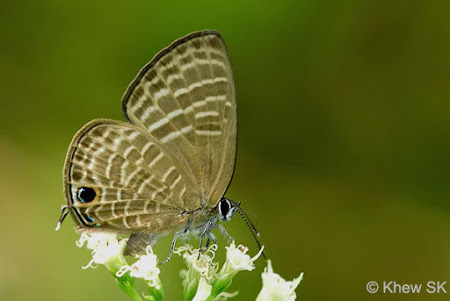 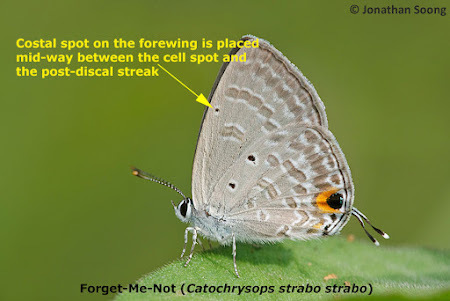 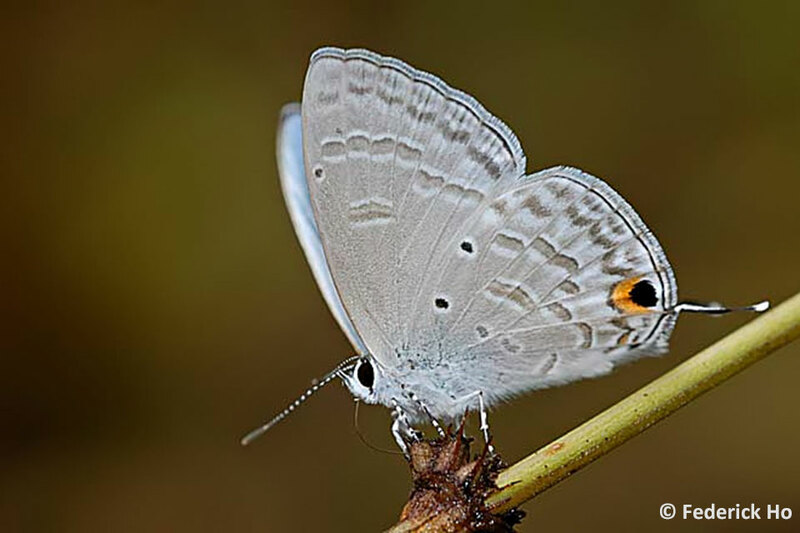 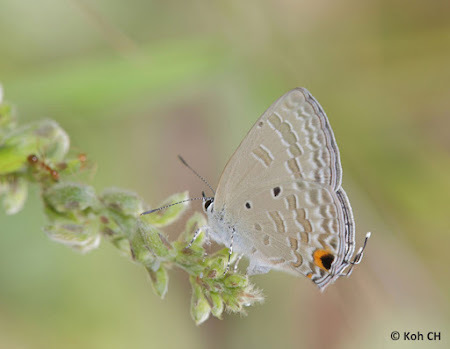 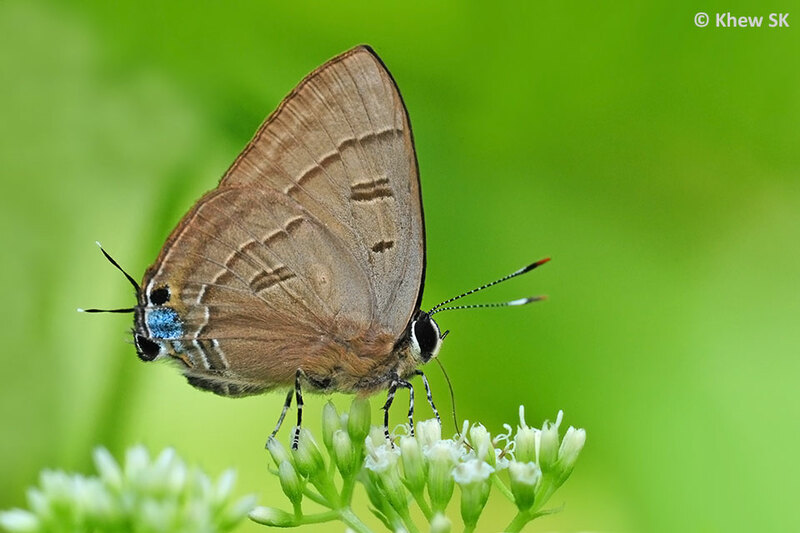 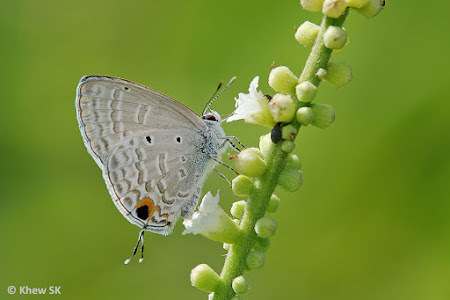 The Lycaenidae has also been often seen on the flowers of this plant, often feeding on the flowers and moving from flower to flower for long periods of time. 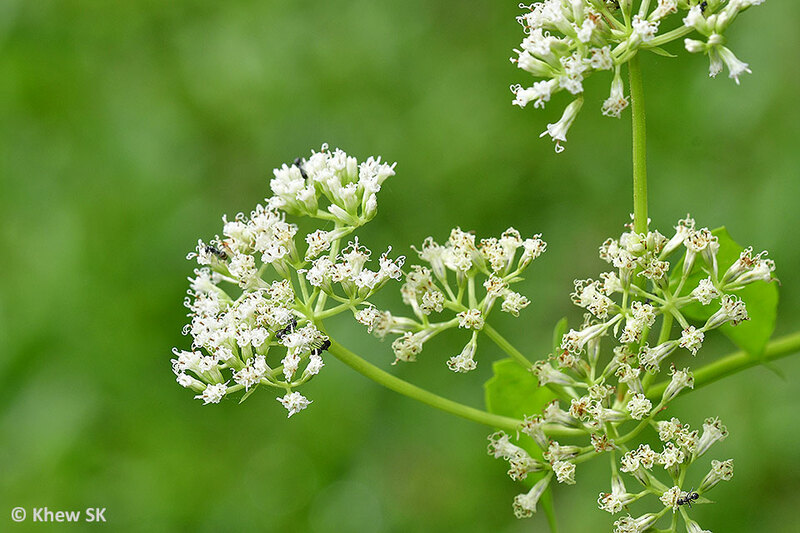 Various Theclinae have been photographed at the flowers of the Mile-A-Minute Weed in urban parks and gardens where the weed grows wild on fences and other shrubs/trees. 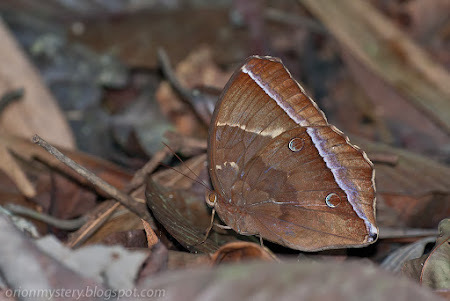 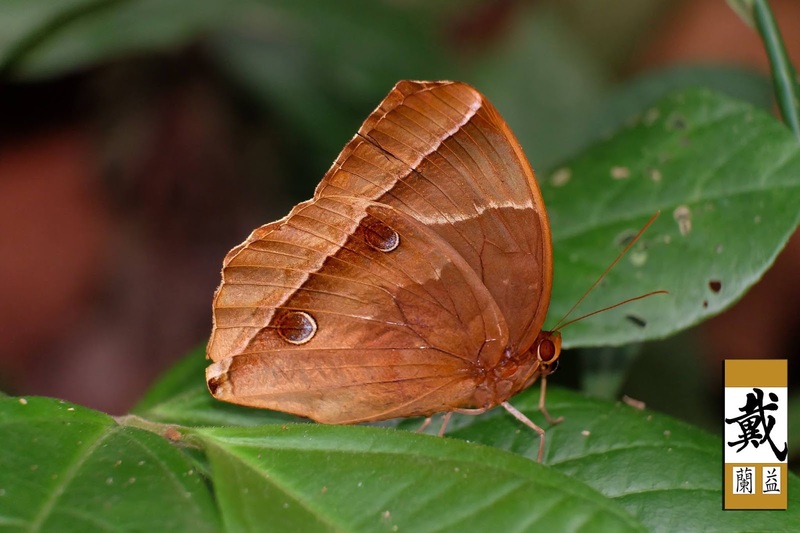 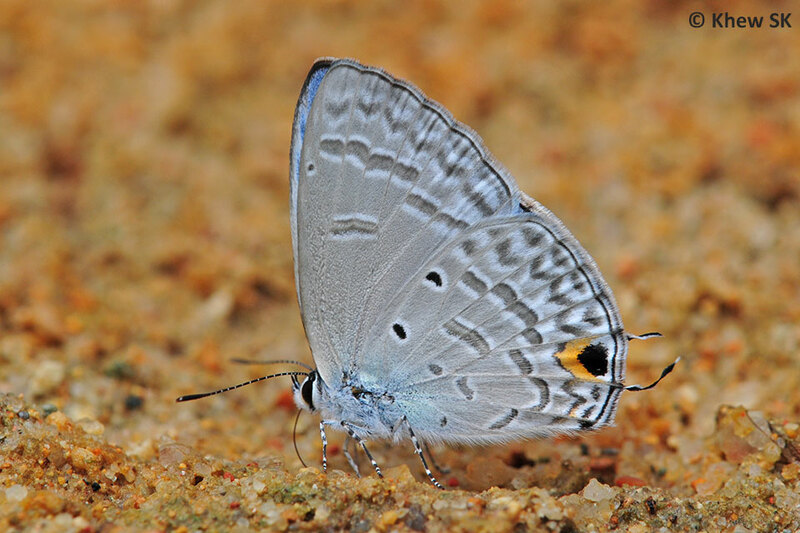 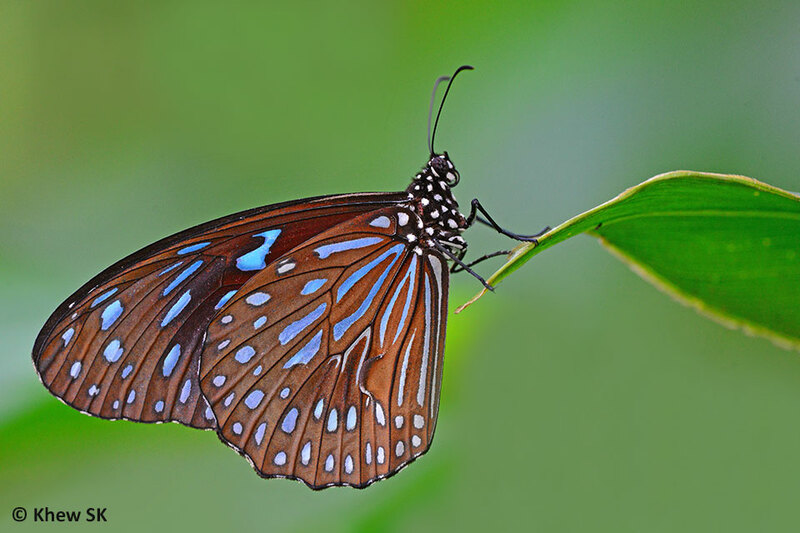 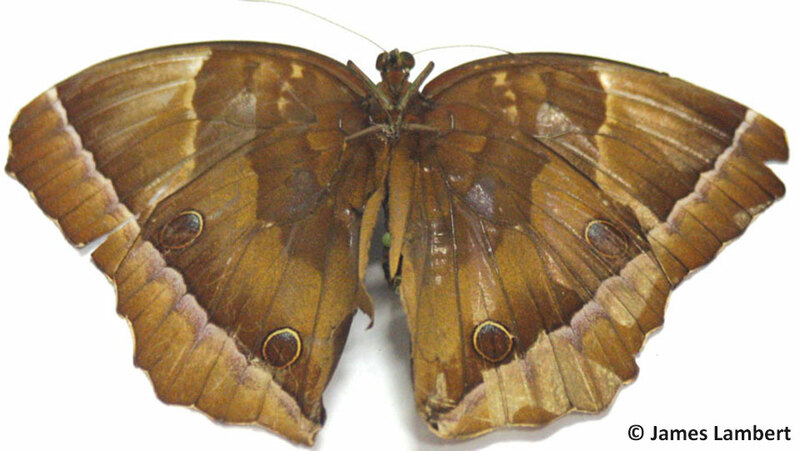 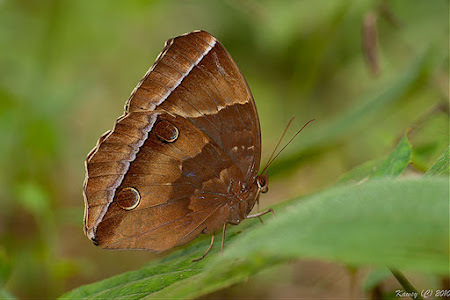 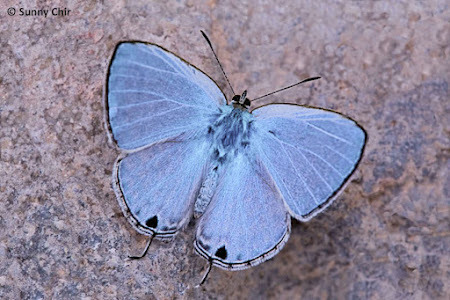 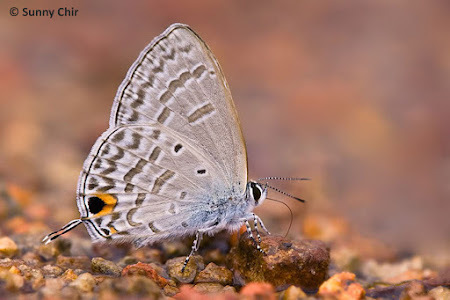 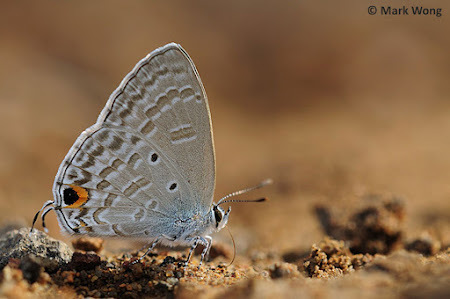 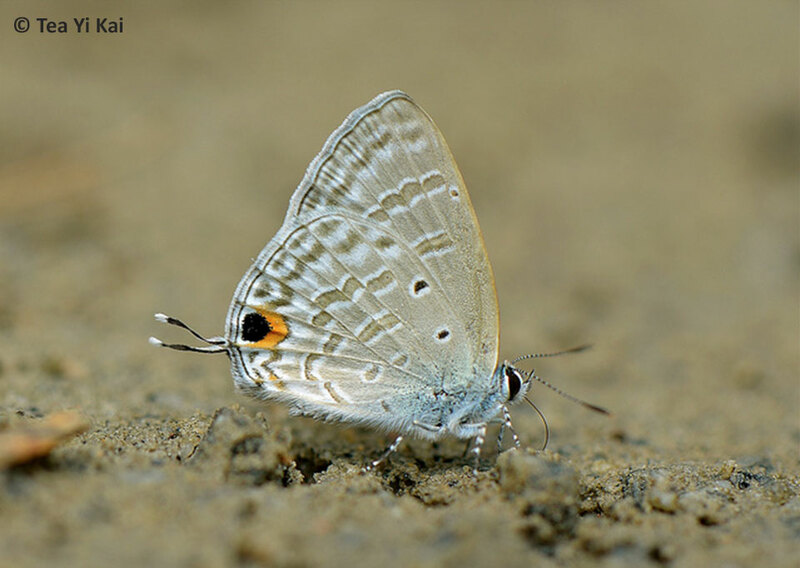 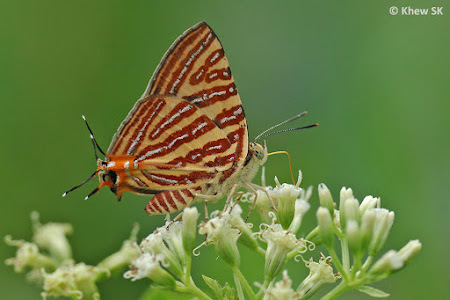 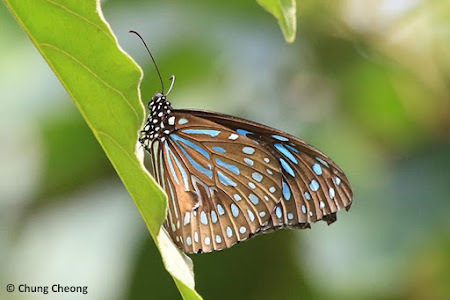 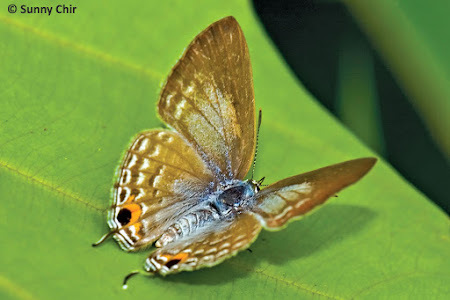 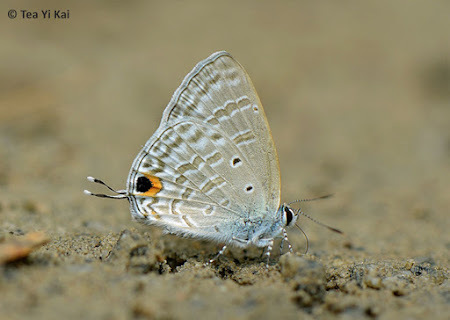 Amongst butterfly species that are seen are the Copper Flash, Long Banded Silverline, Club Silverline and various Blues from the Nacaduba genus. The Hesperiidae are also often seen to feed at the flowers of the Mile-A-Minute Weed throughout the day. 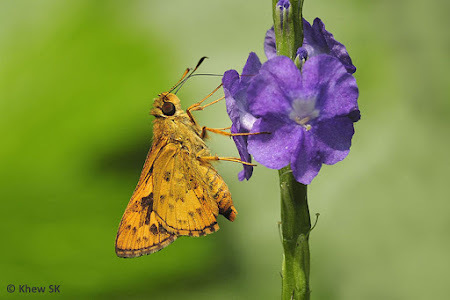 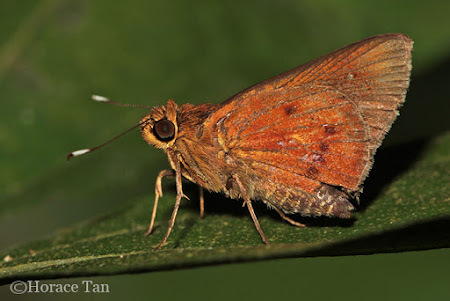 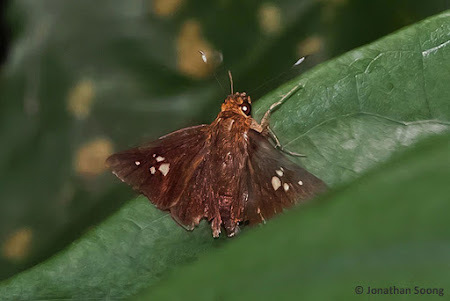 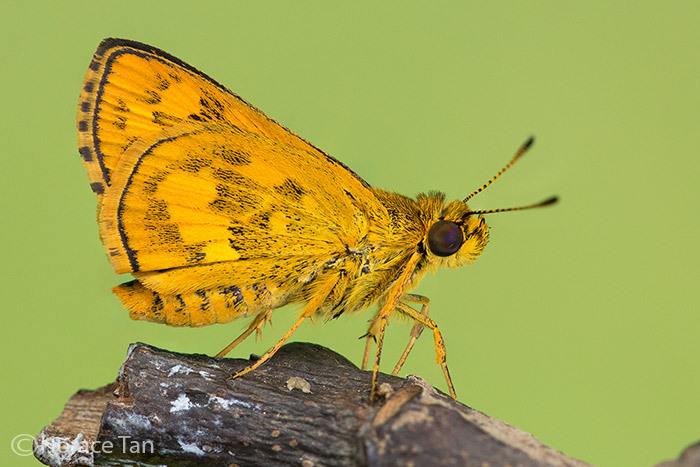 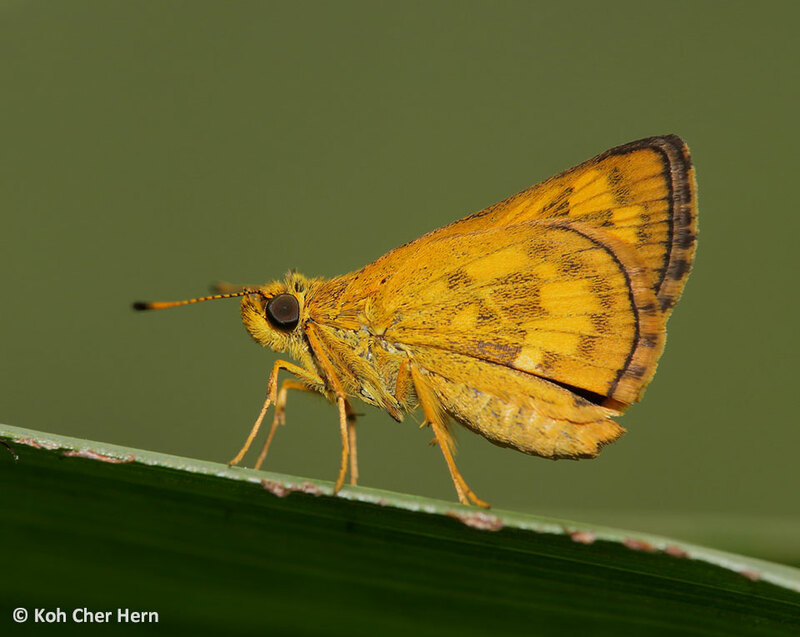 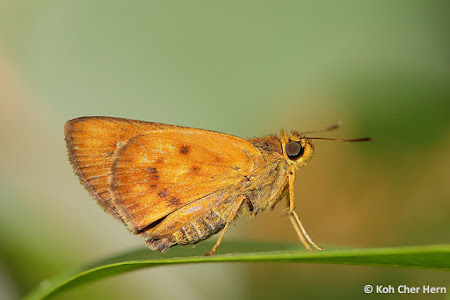 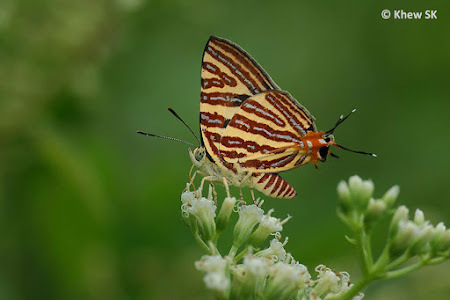 Thus far, we have not seen the larger Skippers on the flower of this plant, although many smaller species like the Lesser Dart and other species of the Potanthus, Oriens and Ampittia genera have been regularly observed at the flowers of this plant. 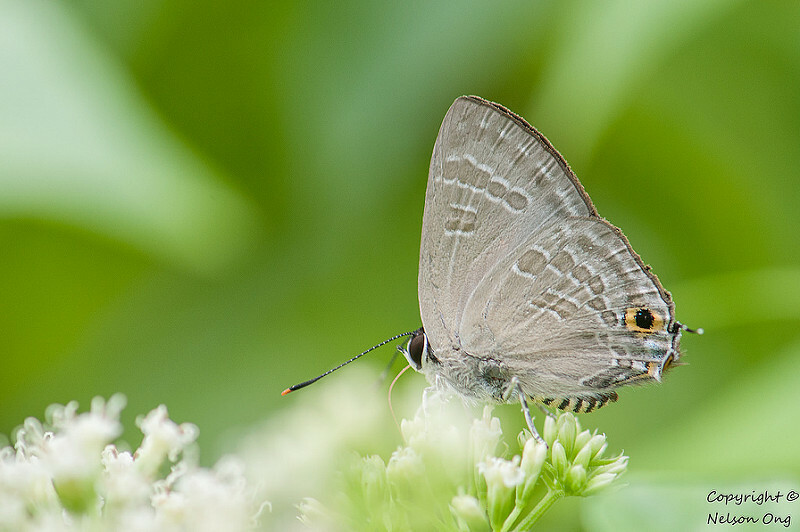 Although this weed is a bane to landscape managers and contractors, where they have to often physically remove the plants before they smother and kill off other more valuable plants, the Mile-A-Minute's flowers are a good source of nectar for our butterflies. 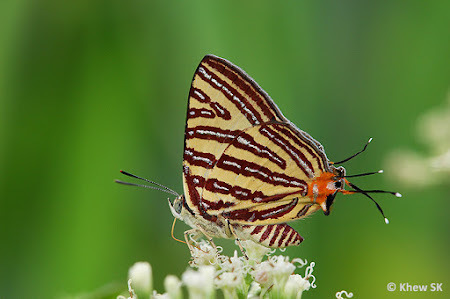 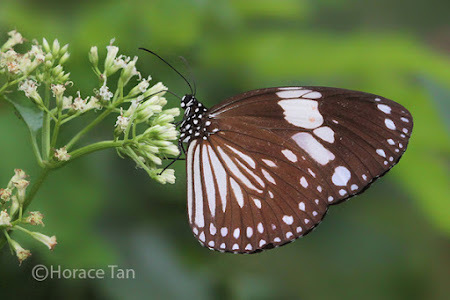 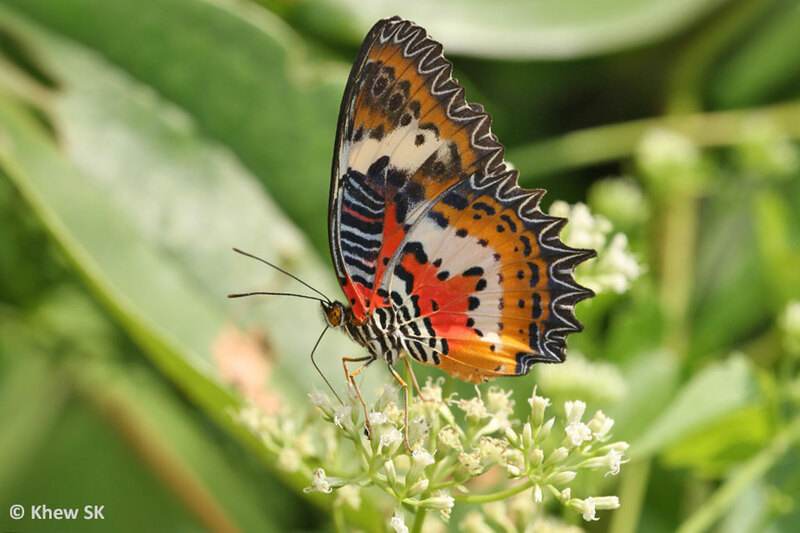 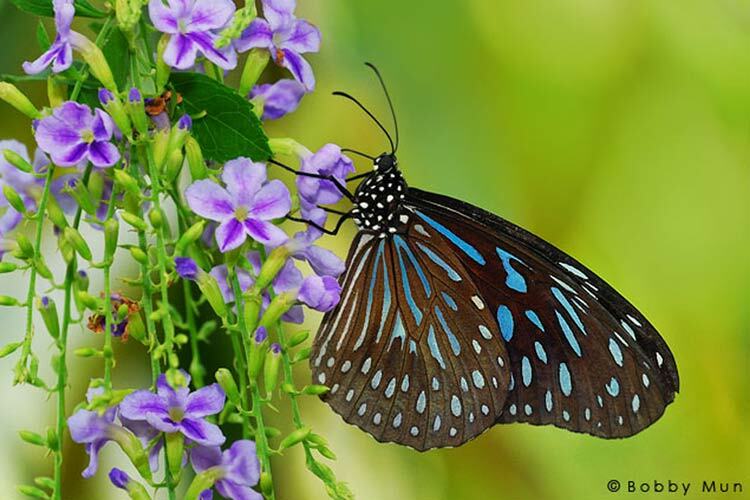 Hence even an unwanted invasive is still useful to our butterflies and should be judiciously managed and not totally be eradicated from our botanical biodiversity in Singapore. 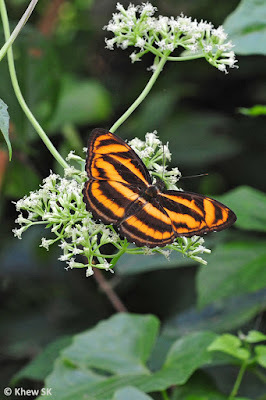 The next time you are out on a walk in our parks or forests, do look out for flowering bushes of the Mile-A-Minute Weed and search for the hungry butterflies feeding on their flowers. Text by Khew SK : Photos by Khew SK, Federick Ho, Nelson Ong, Tea Yi Kai and Horace Tan.